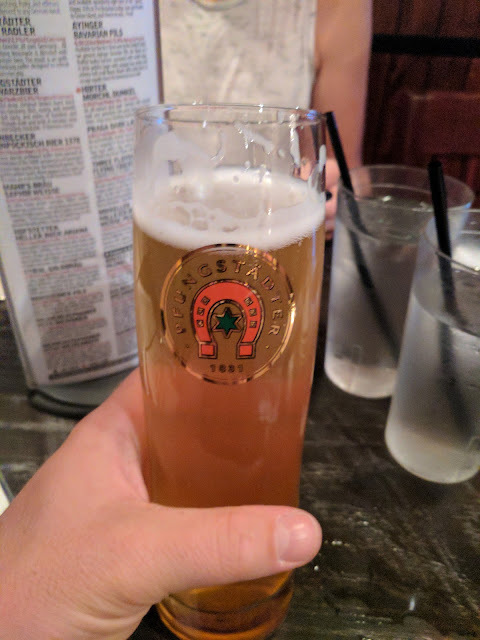 Now that we're based in Downers Grove, we're A LOT closer to The Bavarian Lodge in Lisle. We've been a few times when we were out in Naperville with Nat's folks, but it was a hike all the way from Elmhurst. We took the kids and had a pretty good meal (Schnitzels all around!) with some great pretzels. 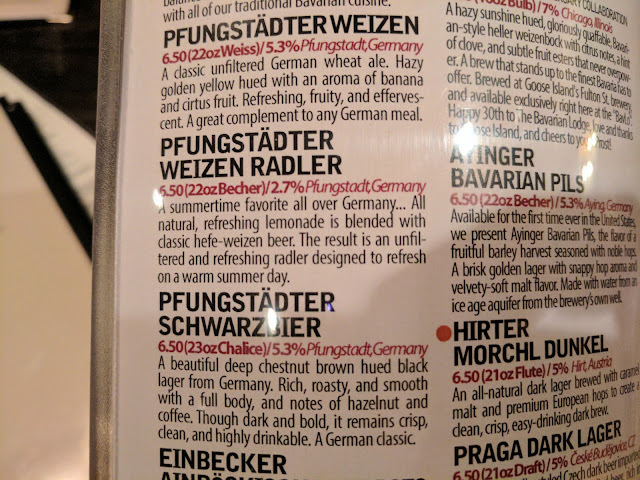 The place has a strong reputation for a pretty amazing beer selection. We're way, way, way out of our element when it comes to appreciating all of the greatness in the ever-changing beer menu. Doesn't mean we don't try things. If there's a Solemn Oath Brewery offering on the menu, I think that Nat and I will usually go in that direction (Rooting for the home team and all, right??). But this past time? No Solemn Oath it seemed, so we had to go elsewhere. Being summer, I ended up with a Radler. The Pfungstadter Weizen Radler to be exact. It came in this tall, lean glass and was a delicious treat! If you're there this summer, give it a shot.